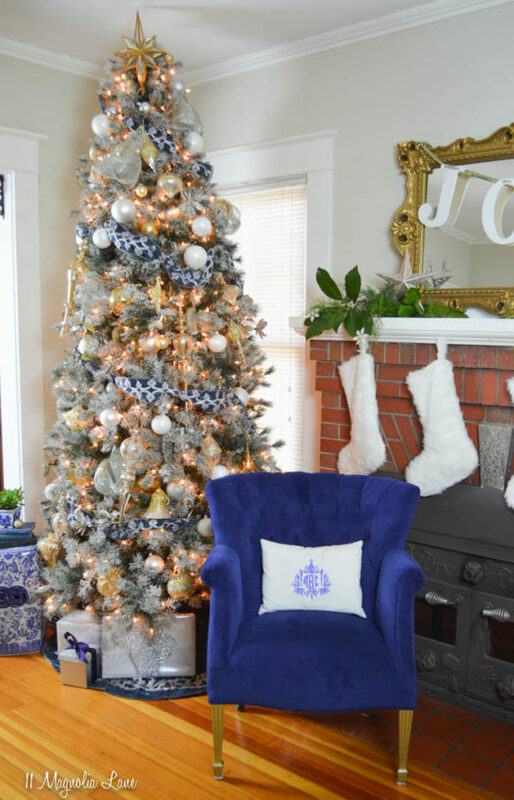 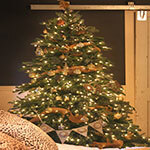 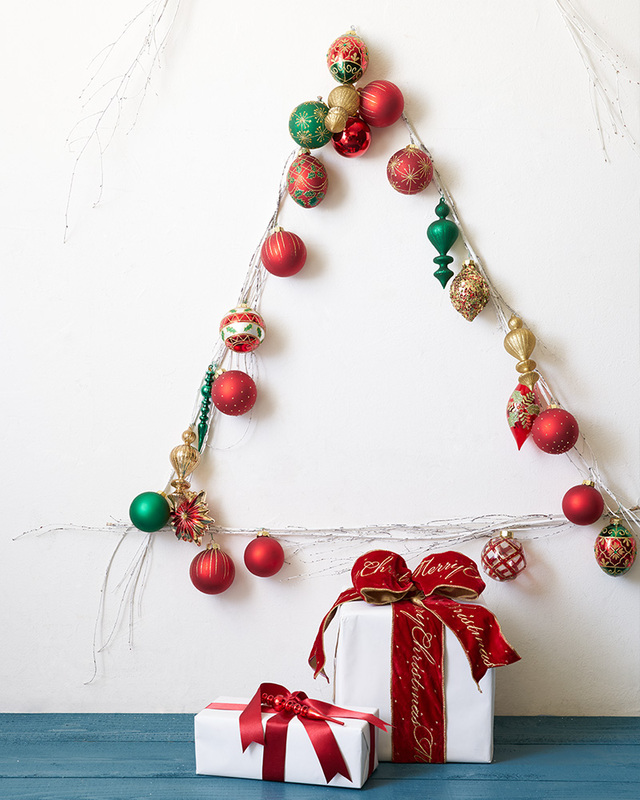 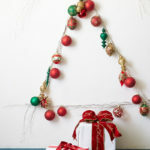 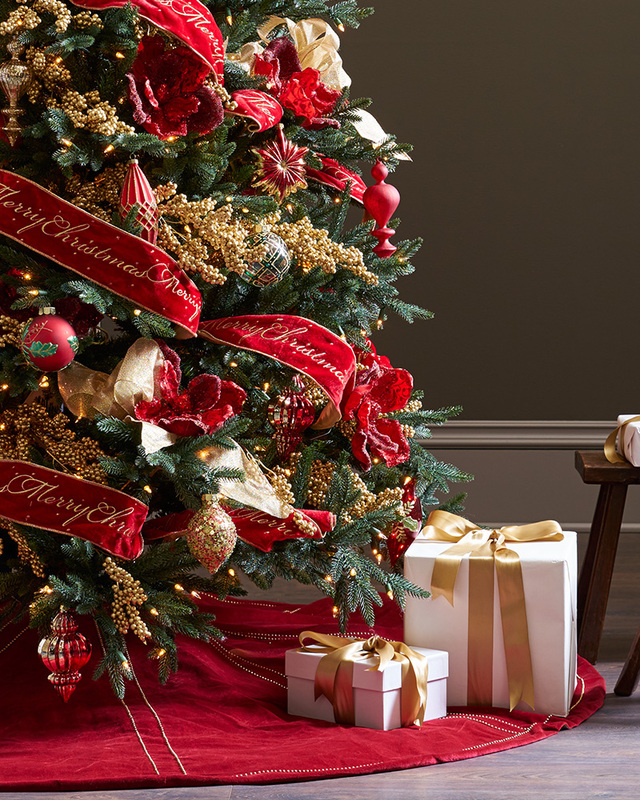 Joy to the world, indeed — capture the merriment of the season with the Christmas Cheer Decorating Theme. 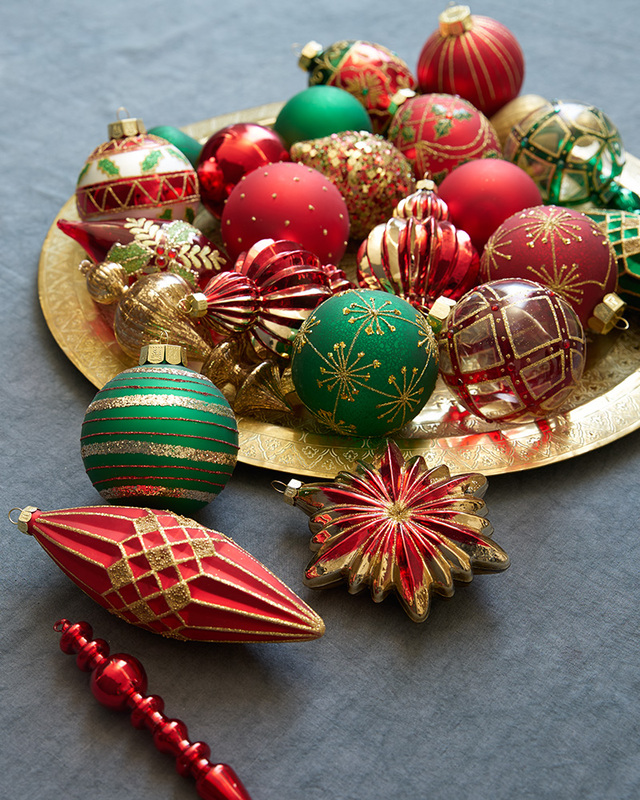 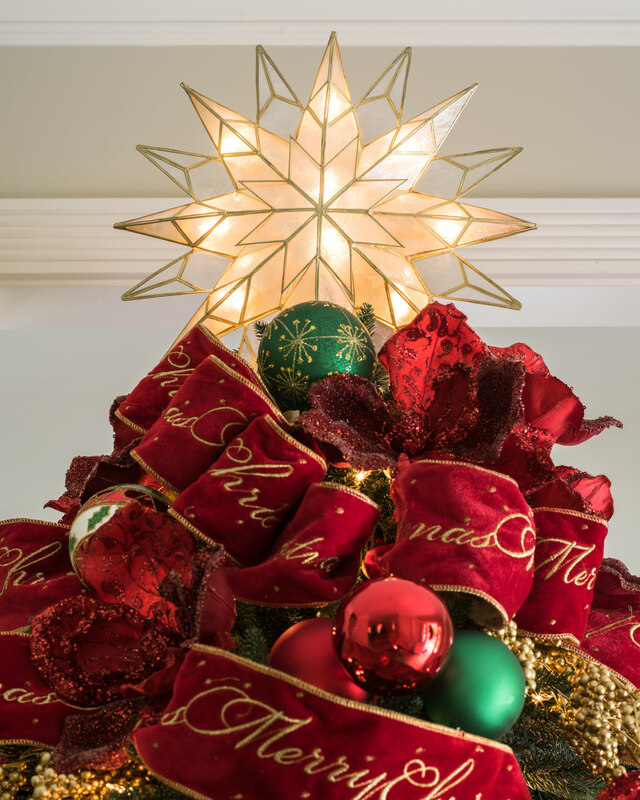 Its vintage-inspired touches and classic color palette of red, green, and gold are sure to make your holidays extra bright this year. 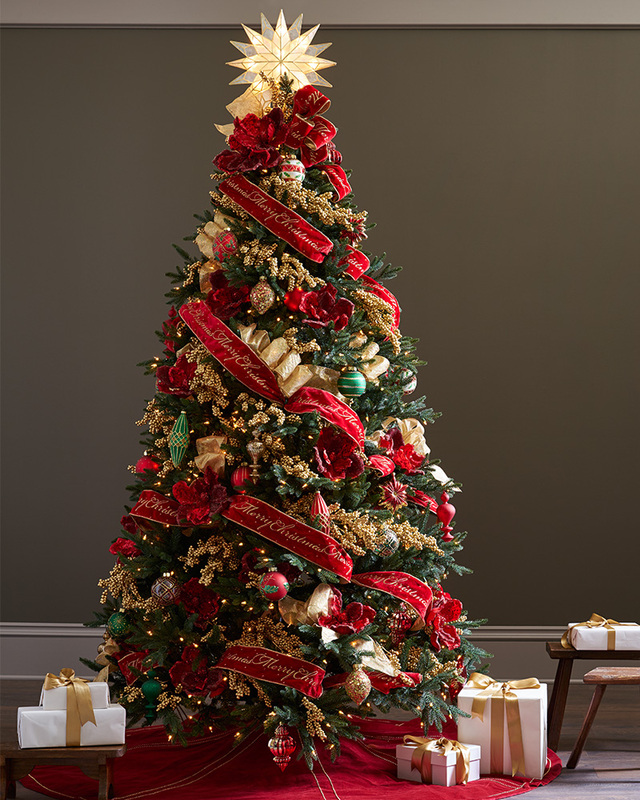 To achieve this look, start with the Balsam Hill™ Colorado Mountain Spruce™, reminiscent of the stately spruce trees of the Rocky Mountains. 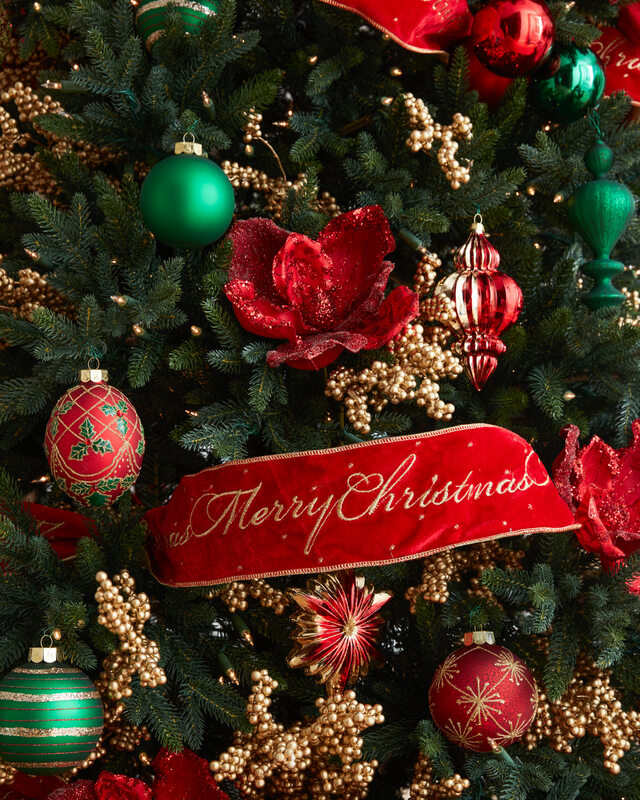 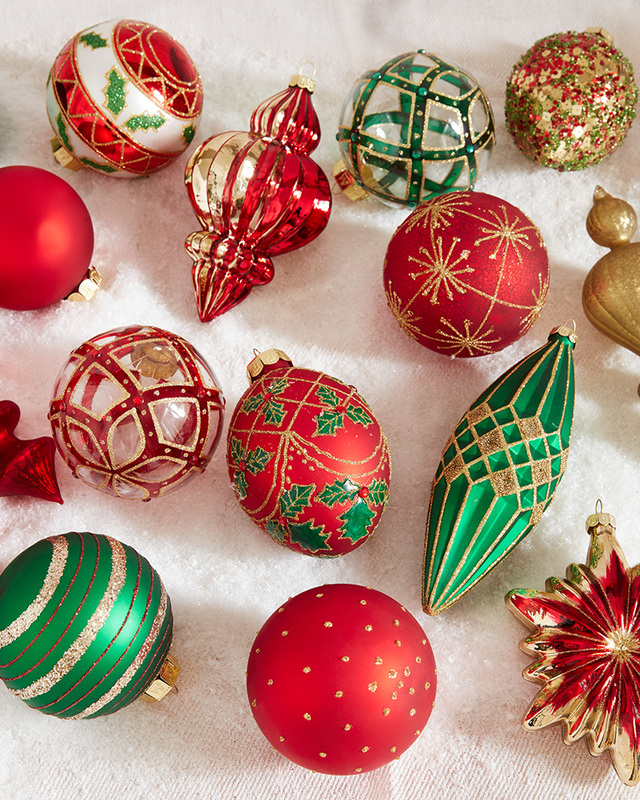 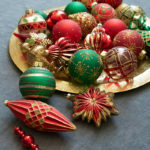 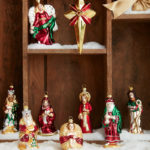 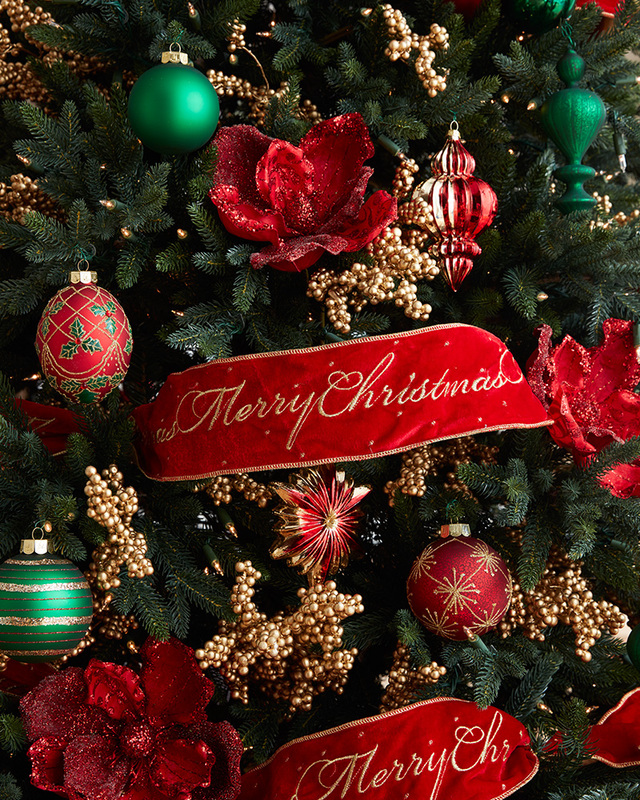 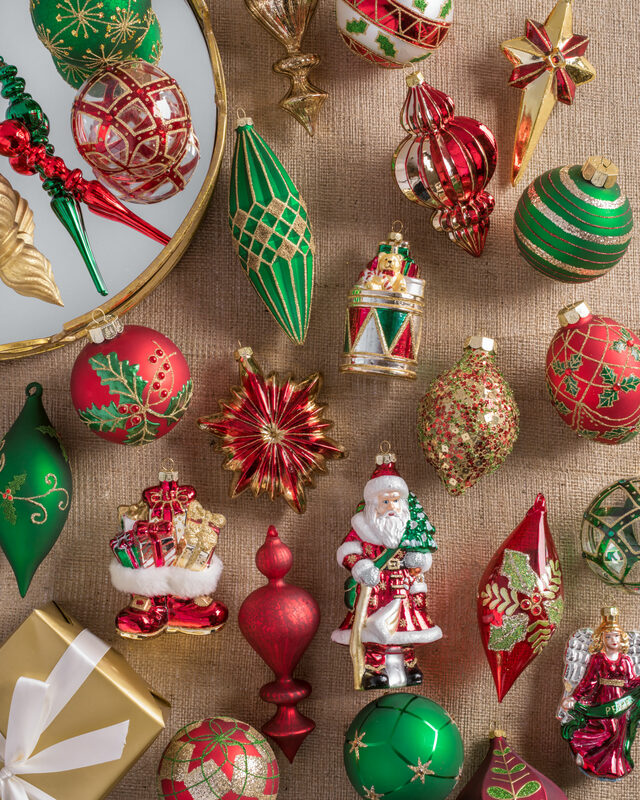 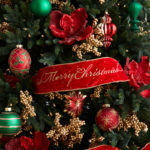 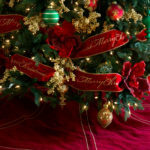 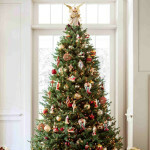 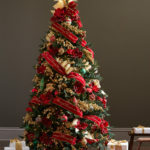 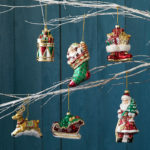 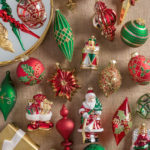 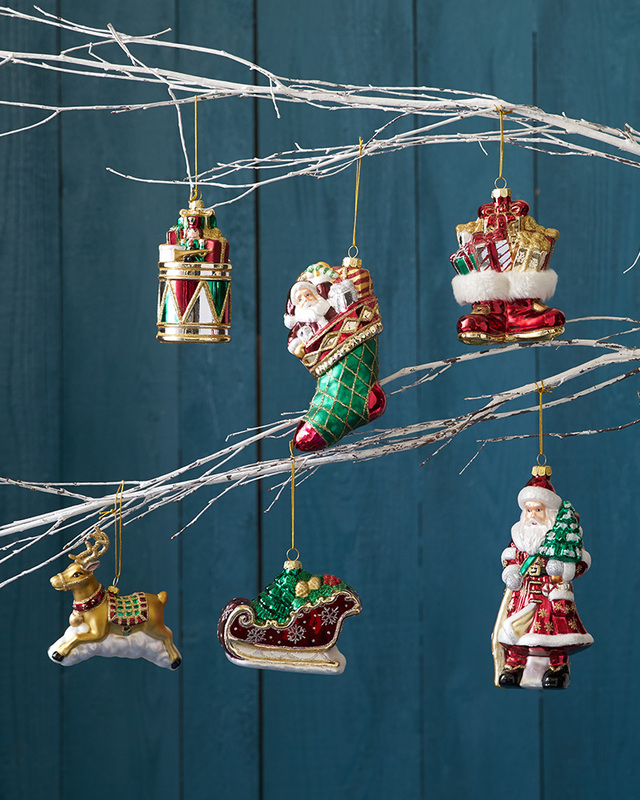 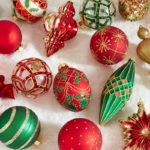 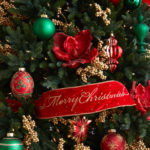 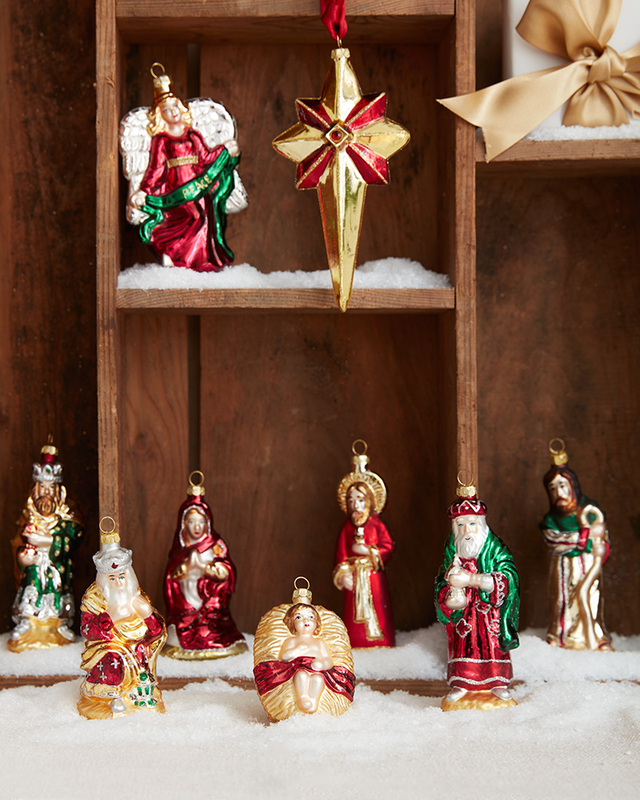 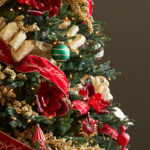 Its dense, warm green foliage makes the ideal canvas for the Christmas Cheer Ornament Set, a collection of hand-painted figures in festive holiday colors and patterns. 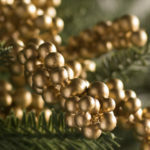 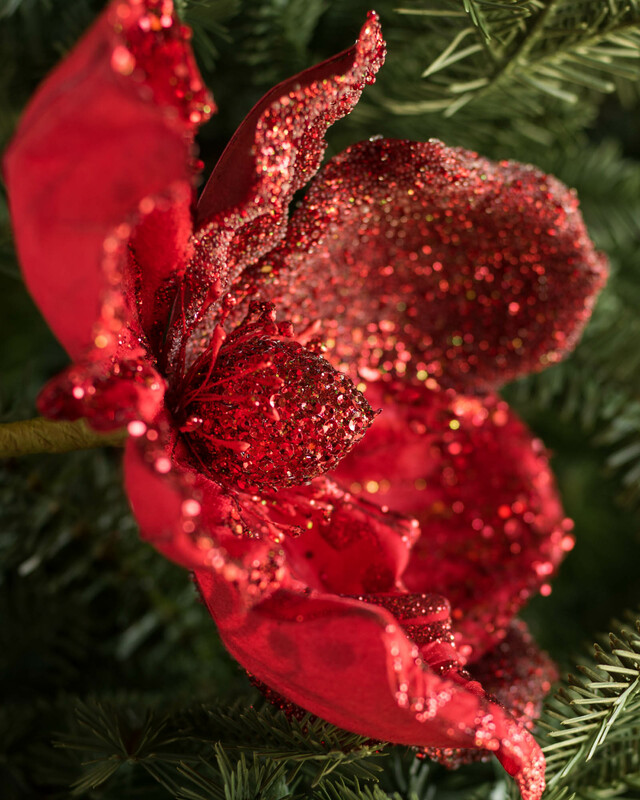 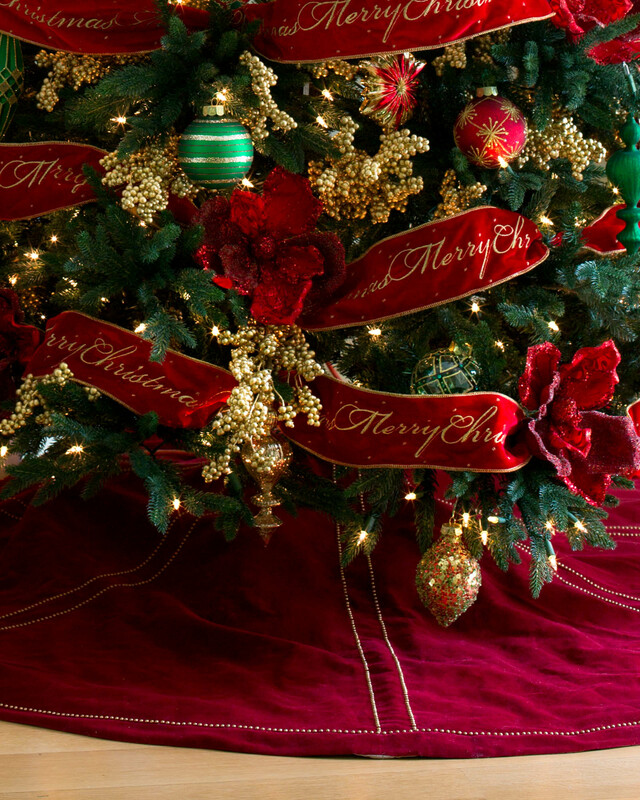 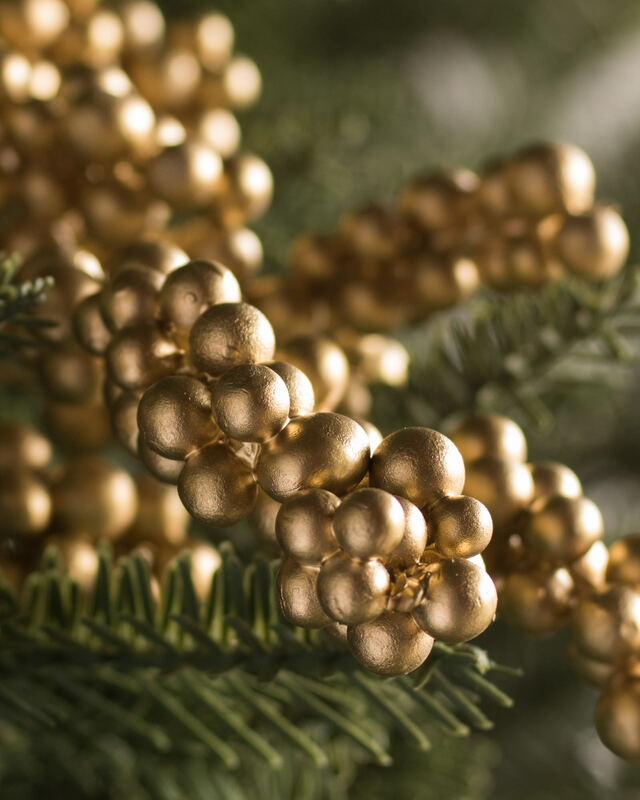 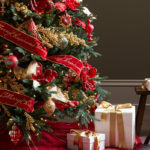 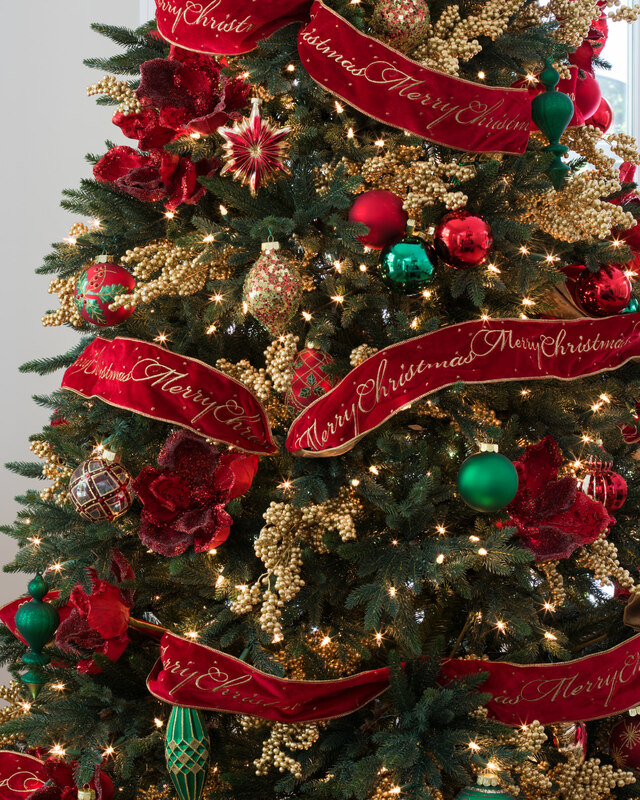 Add a touch of opulence to the tree by weaving the Merry Christmas Velvet Ribbon and the shimmering Glitter Gold Ribbon throughout its branches. 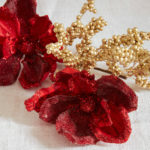 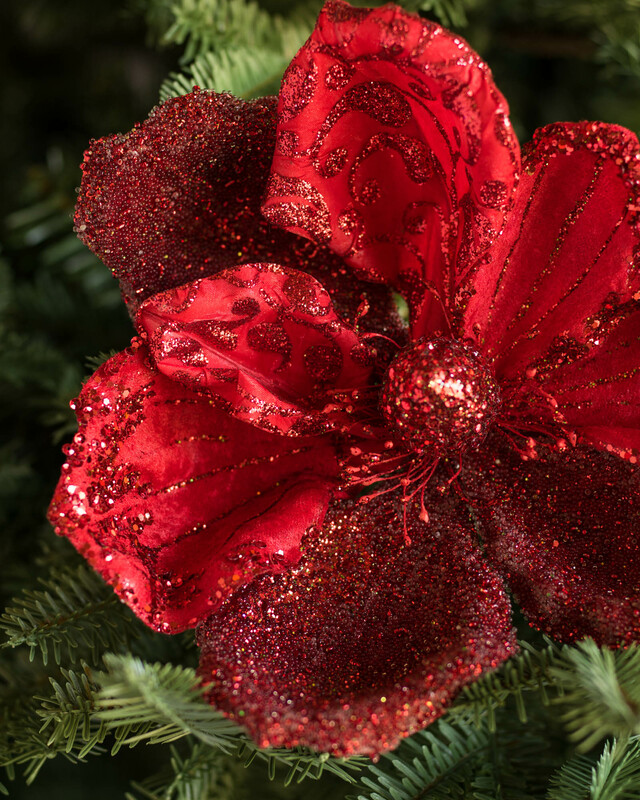 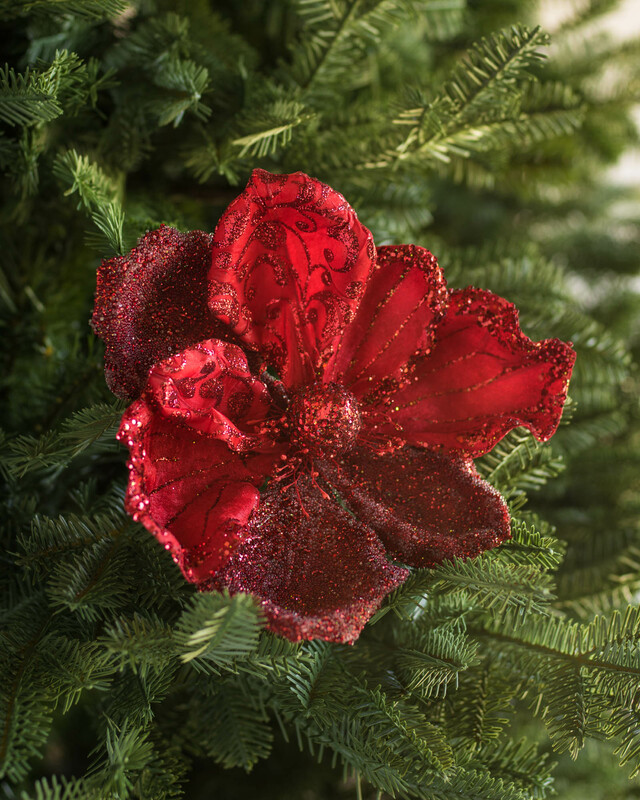 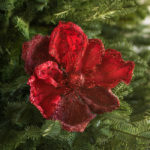 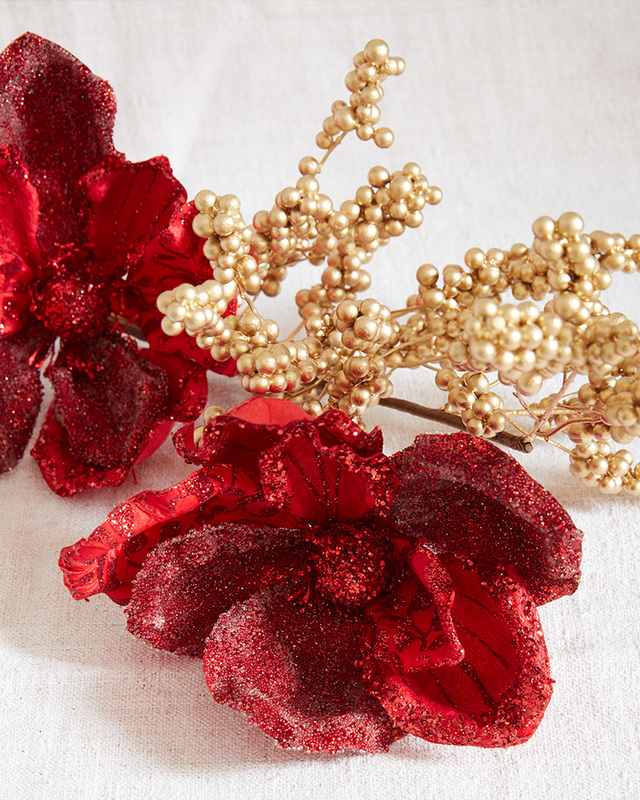 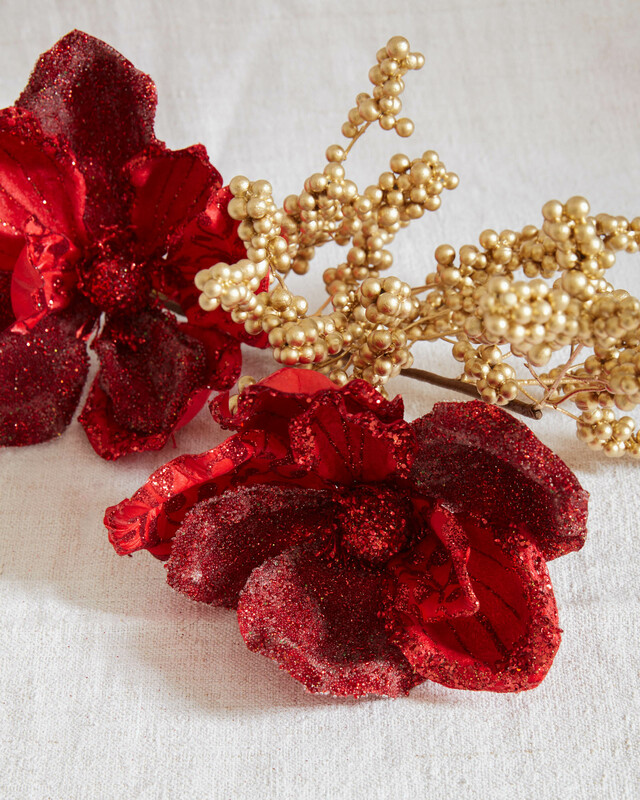 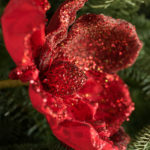 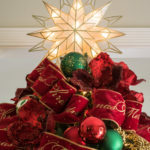 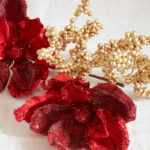 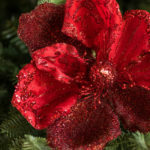 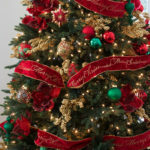 Use the clustered Gold Metallic Berry Picks and the Balsam Hill exclusive Red Glitter Magnolia Picks to further adorn the tree. 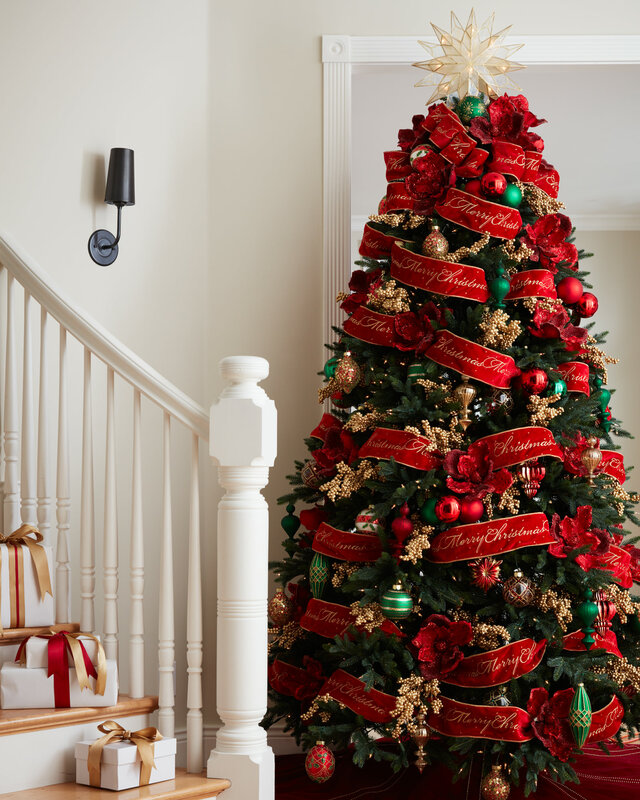 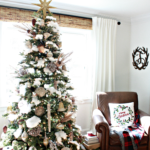 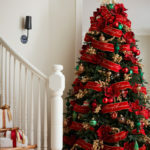 For an air of soft elegance, incorporate the Studded Velvet Tree Skirt and finish the look with the warm glow of the Double-Sided Starburst Tree Topper. 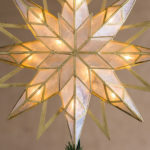 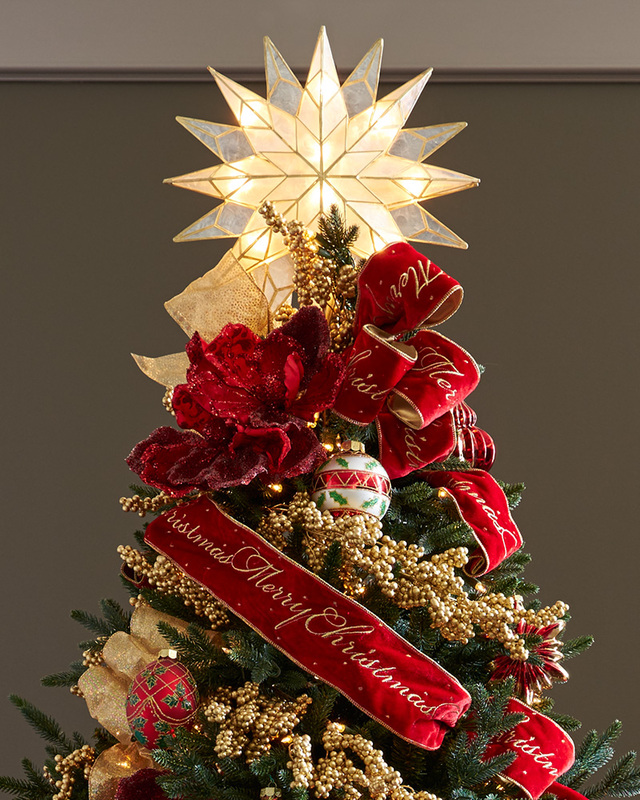 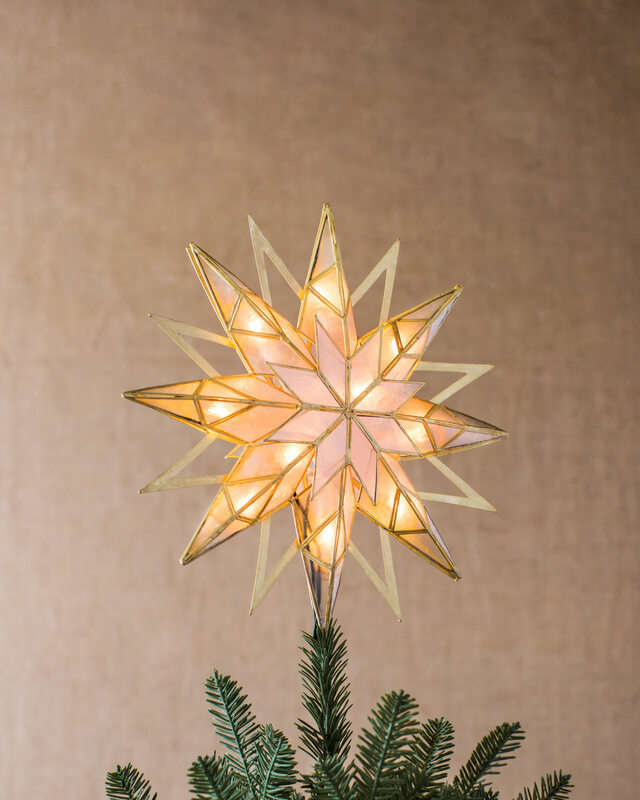 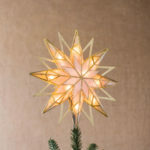 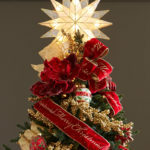 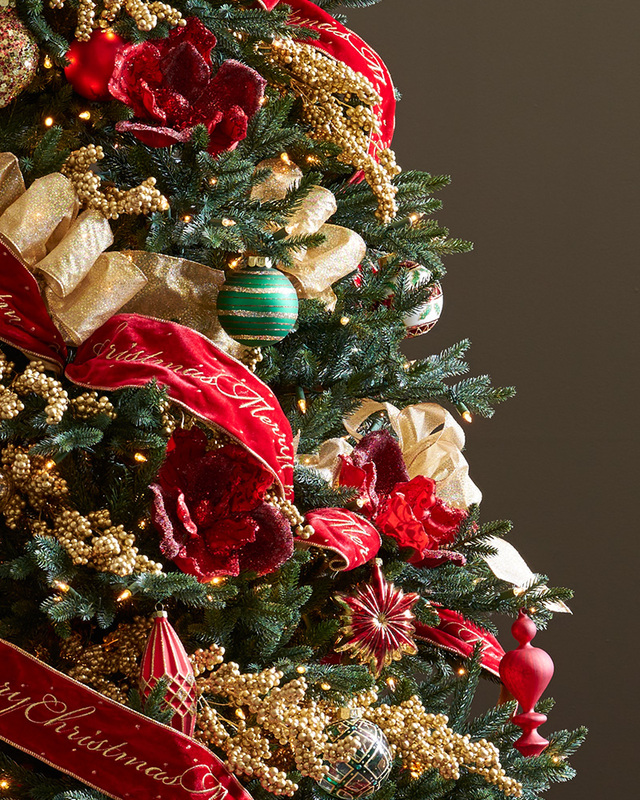 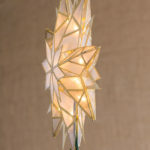 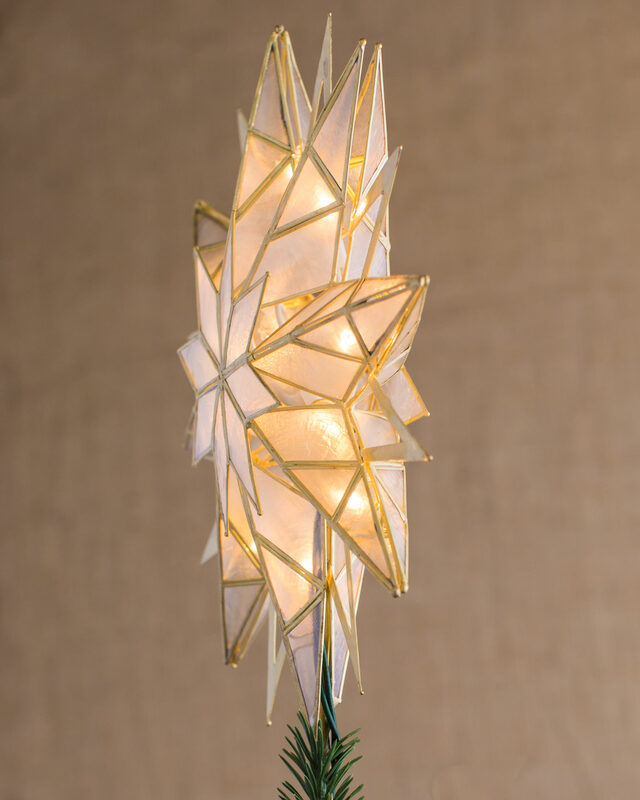 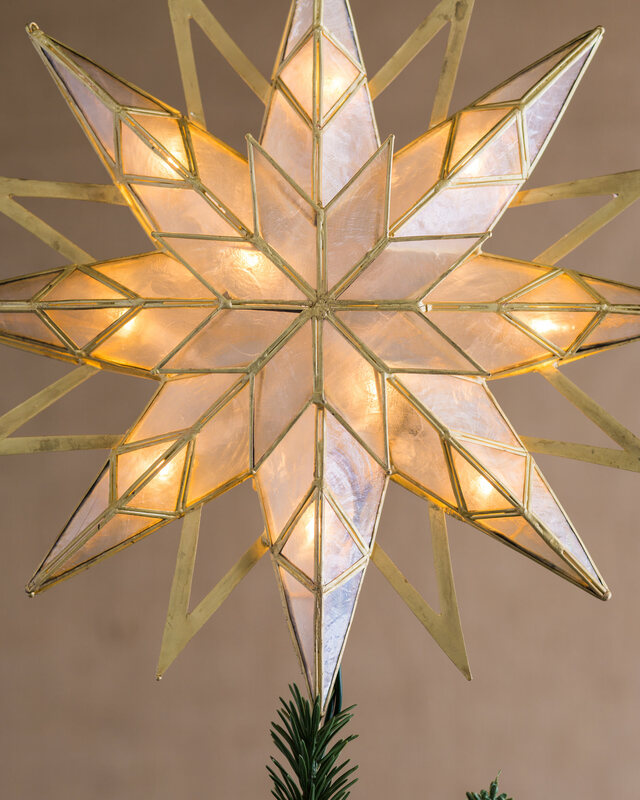 With its built-in lights, hand-cut capiz shells, and gold metal frame, this 16-pointed star lends a perfectly sophisticated finish to a beautifully embellished tree.